Sean Lare is a licensed clinical social worker who is passionate about serving transgender and gender diverse communities. 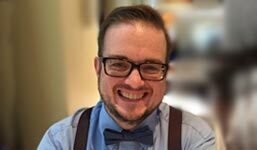 In addition to providing psychotherapy for individuals in the transgender communities, Mr. Lare also works as an educator and advocate in the Baltimore, Washington, DC and surrounding areas to help increase awareness about the unique needs of transgender, non-binary and gender diverse individuals. 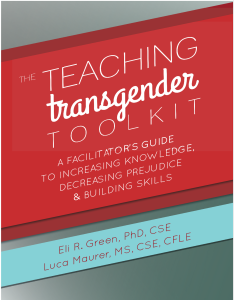 His educational work has included providing introductory and specialized trainings on: engaging and retaining transgender talent in the workplace, supporting transgender and non-binary students in K-12 and college/university settings, and guidance for providing affirming services for transgender clients in clinical, behavioral health and medical settings. Mr. Lare has been a featured speaker at regional and local conferences, participated in numerous panel discussions and guest lecture presentations in undergraduate- and graduate-level classes, and is a sought-after contributor to community and policy planning efforts to increase services and rights for and to meet the diverse needs of transgender people. The focus of his psychotherapy practice in Columbia, MD is working with children, teens, and adults who are transgender or gender diverse and their families and providing supervision and consultation to other providers. More information can be found at www.seanlare.com.